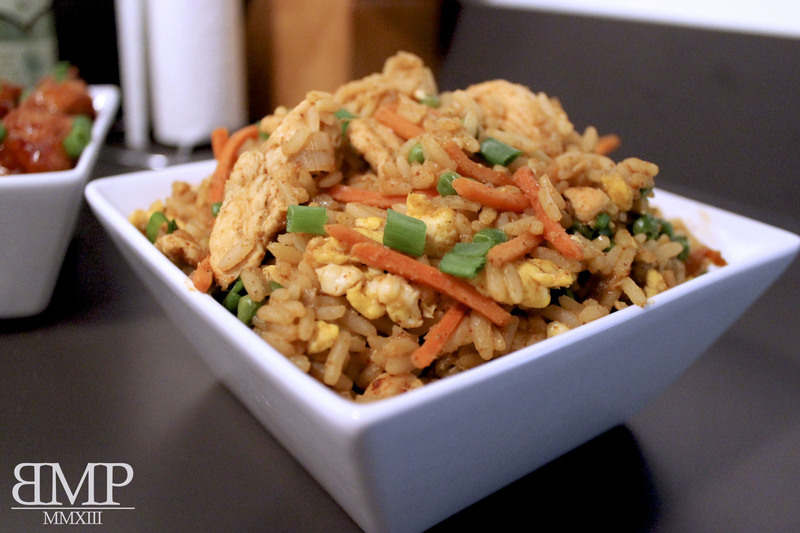 Easy Chinese Chicken Fried Rice. • In a wok or pan, heat up sesame oil over medium heat, sauté onion, chicken, carrots and peas until soft. • In the same pan, scramble eggs then mix with the vegetables and chicken. • Add rice, soy sauce, stir and fry until evenly combined and heated. Your meal is ready to be served with BAKED SWEET AND SOUR CHICKEN. This entry was tagged chicken, chicken fried rice, cook, Food, fried rice, how to, rice. Bookmark the permalink.